ACHTUNG! 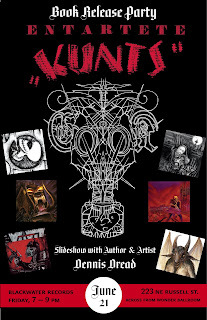 You are cordially invited to join us on Friday June 21 at Blackwater Records in Portland, Oregon for the official ENTARTETE KUNTS book release party. This will be a great opportunity to purchase the book directly from me and save yourself additional postage fees. It will also be a great opportunity to booze it up while celebrating the triumph of real underground art!!!! 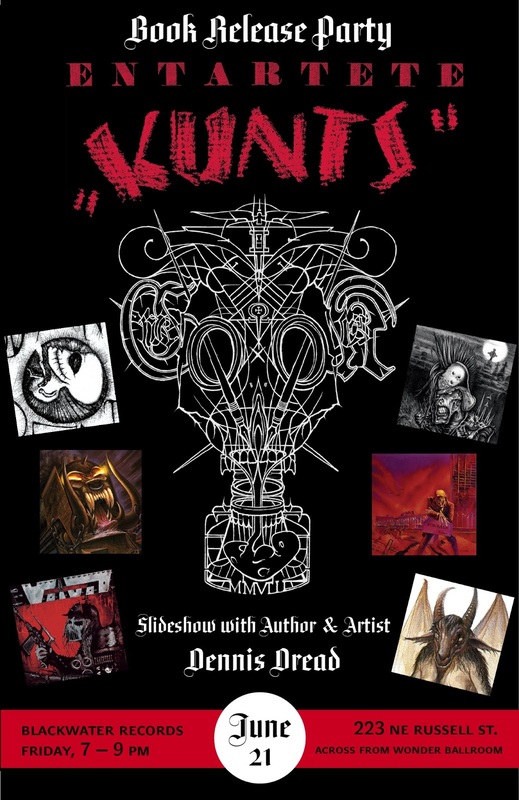 I will conduct a brief slideshow that provides context for the book and showcases a few of the amazing artists featured in its 340 pages. Slideshow starts at 7pm. Drinks and music until 9pm. Original artwork from the book will also be on display for one night only. The new Blackwater space is located directly across the street from Wonder Ballroom on NE Russell Street, off MLK. I look forward to seeing you. Spread the word!